For quite a long time, Internet Explorer dominated the web browser scene. Back when there was no Chrome, and Firefox was barely an infant, Internet Explorer was the de facto king of web browsers. Then Google Chrome was released, and Opera and Firefox were growing in momentum. Everything changed, and Internet Explorer began to fall slowly from grace. Owing to its sluggish interface, poor performance and, of course, itscompatibility issues, IE lost the browser wars, and was thankfully replaced at the top by Chrome and Firefox. Even Safari, in spite of all its faults, managed to outshine Internet Explorer. While Microsoft tried to save its flagship browser, it soon realized that time had come to finally pull the plug. Recently though, Microsoft announced that they were going to kill off the Internet Explorer brand, and release a brand new web browser instead. They originally named it Spartan, but then decided to go with something simpler:Microsoft Edge. Does it look like a desk lamp? Is it an out of proportion E? 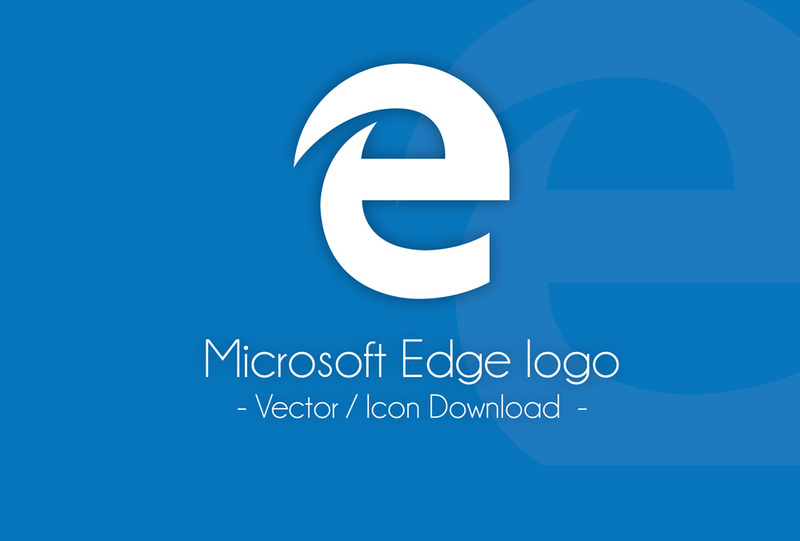 Did they really plagiarize their own IE logo? Of course, it can be argued that Microsoft are not trying to reinvent the wheel, and the fact that the new logo bears some resemblance to the older Internet Explorer logo can be a positive: there are users who know nothing about the browser wars, and they will feel an instant connection with Edge in the same way they did with IE. In any case that is just one of the many first-look observations. Microsoft have not as yet totally killed Internet Explorer. As the latest information stands, both Edge and IE will co-exist on Windows 10. However, the biggest USP of Edge, according to Microsoft, will be that it will integrate with Cortana (Microsoft’s version of Siri, a virtual assistant). Beyond that, you can also annotate and mark up web pages directly within the browser. Everything else that MS Edge does, modern web browsers already do. Minimal interface, tabbed windows, lazy loading, support for modern scripts, etc. Keeping in mind that Chrome rose to stardom only on account of its speed. Does this mean Edge will replace Chrome and become the apex web browser? Does Edge Have A Chance? There are two major reasons behind the success of Chrome: first, it offered a nimble interface and a faster browsing experience, something that Internet Explorer users craved for. Second, it offered tight integration with Google services (a Google account is all you need to keep your bookmarks secure, for example), something that Firefox did not offer in its initial stages. Considering the fact that Edge will probably be learning from the mistakes of Internet Explorer, and that it is so far proving to be faster than Chrome, do we not have enough reasons to believe that it can topple Chrome and Firefox? To some extent, perhaps yes. However, web browsers are a different breed compared to other software, say photo editors or word processors. When a user leaves a given web browser and use another, they need to undertake a proper migration. Much like migrating a web host, you need to transfer your content, such as bookmarks and login details across to the new browser. Obviously, Edge needs to offer enough motivation to its users in order to encourage them to migrate from other browsers. Faster browsing aside, MS Edge also needs to focus on faster UX. The thing is, both Chrome and Firefox have become bloated (not as bloated as IE, still bloated enough). Blame it on addons, extensions, whatever, but if Microsoft Edge can offer a nimble UX to its users, it will certainly challenge Chrome and Firefox. Probably the biggest mistake that Microsoft previously made was that it ignored the power of the mobile platform for too long. For Edge, Microsoft should consider mobile users as the primary audience: people on smartphones and tablets, be it Android or iOS or Windows Mobile. If Microsoft insists on focusing on the desktop once again, Edge too will fail, badly. All said and done, the road will not be easy for Microsoft Edge. Web users are already in love with either Chrome, Opera or Firefox, and when even Safari is finding it tough to carve a niche for itself, Edge too might not be able to shine overnight. That said, there is a demand and requirement for a low-cholesterol web browser that is quick to run and easy to work with. If Edge can fill that void, it certainly has a fighting chance.